Free Shipping Included! SMGC222BL-BRK Cutjack C22-2BL Linerlock by Steel Will at MZ Italia. MPN: SMGC222BL-BRK. Hurry! Limited time offer. Offer valid only while supplies last. 4.63'' closed. 3.5'' satin finish bohler M390 stainless drop point blade. 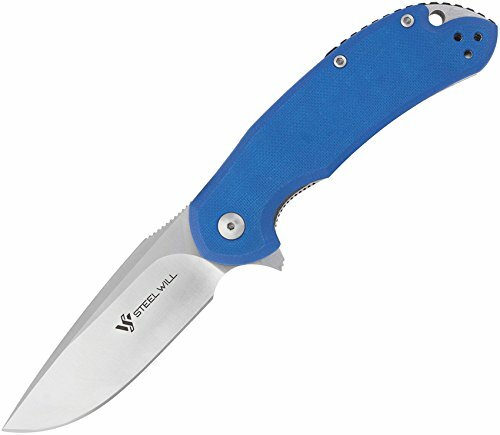 Blue G10 handle. Extended tang. Lanyard hole. Pocket clip. Serialized.